Joakim Noah was in the shower Sunday following the Bulls 99-94 loss to the Cleveland Cavaliers rapping. There were lyrics that had something to do with Tony Snell. It didn’t seem like Noah was destined for a new career. Pau Gasol munched at a buffet while Jimmy Butler slipped into something with lots of black and white and gray patterns that appeared to be somewhere between Paris chic and West Texas rugged. So the last 10 days of the NBA regular season for the Bulls will be unlike that for many other teams with uncertainty regarding the seeding and playoff opponents and rotations as Derrick Rose continues to progress and told the ABC broadcasters he “probably” will play this week. The Bulls are in Orlando Wednesday, Miami Thursday and home for Philadelphia Saturday. The Bulls could have used more of that Sunday, though there was a wry smile behind the post game words of the players, something of the notion that if they could do this with the Cavs at full strength and on what is now an 18-game home winning streak without Rose, who plays leading scorer Kyrie Irving with 27 points well, then the playoff opponents don’t matter that much. The Bulls have a one game lead over the Toronto Raptors for third in the East, which would likely mean a first round series with Milwaukee and then the winner likely playing the Cavs. If Toronto, which has the tiebreaker with the Bulls by virtue of winning its division, moves to third, the Bulls would play the Wizards in the first round. The winner there would likely face the Hawks in the second round and the survivor likely the favored Cavs in the conference finals. That’s, of course, a lot of ifs and buts and this Bulls season has left no certainties as the Bulls fell to 46-31 and 21-17 on the road with their sixth road loss in their last eight. So tinged with the vexation for Noah and the others is the knowledge that both Rose and Kirk Hinrich, neither of whom played Sunday, should return this week, finally giving the team a semblance of normalcy and a rotation to go into the playoffs. And with that they’ll take their chances. That seemed the most optimistic part of the underlying message after a third loss to the Cavs in four games this season. The Cavs got a quiet triple double of 20 points, 12 assists and 10 rebounds from LeBron James, who wasn’t a major factor and barely grazed rim on several jump shots as Jimmy Butler did well chasing James. The Cavs had just seven fast break points, the same as the usually deliberate Bulls. The Bulls, however, could not contain some Cavs luck and the three-point shooting of Irving and J.R. Smith, the latter who added 24 points. They combined for 12 of 22 three pointers of the Cavs 16 for 37 threes. 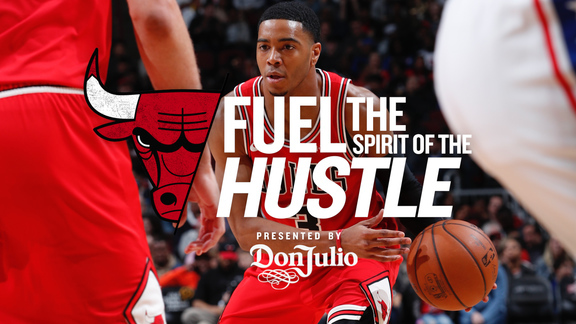 That, perhaps, was the crucial juncture of the game for the Bulls as the Bulls committed five turnovers in that stretch and the Cavs went on a 10-0 run to take a 75-60 lead, their largest of the game. It was a rough sequence for Aaron Brooks, who otherwise played well with 17 points but seven turnovers. But don’t blame Brooks. He’s handled the point guard duties well for five weeks in an unexpected role. That will change with Rose’s return and not only give the Bulls better court direction but a tougher defender who has had career success against Irving. Otherwise there was a lot of typical Bulls/Cavs, i.e., Lebron. James actually drew the only flagrant foul of the game with a nasty high elbow to Nikola Mirotic in the second quarter in a close game with the Cavs leading 40-36. The Cavs would go on to spurt ahead 54-45 at halftime as Smith put in a 40 footer at the halftime buzzer with the sort of shots you like to see him take. But he made six of eight threes in the first half. The Bulls smothered Kevin Love in his return from back problems. He had a quiet 11 points, stuffed every time he tried to score inside as he typically doesn’t have much lift. But Love did make a trio of three pointers. I thought Noah’s response about the threes was interesting and opened a window to an explanation of some of the defensive issues that have made this Bulls team much less physical that previous ones. In previous seasons with Noah at center, he was in the middle to help and play physically. Now at power forward he’s chasing away from the basket more. His inclination is to help, so he gets caught too deep at times. But it also explains more when he plays with Gasol, who is less physical, why the Bulls defense has ceded at times to the offense. But Noah gets a chance to be physical with the Cavs and had a tough foul on James early in the third quarter with the Cavs leading 65-60. The officials jumped in as James got up and seemed to walk toward Noah. But James was just walking to the free throw line to shoot. On the next possession, Noah would stop a Cavs fast break with a little hip check foul on James. Though they both were common fouls and not really out of the ordinary, Cavs coach David Blatt after the game offered his own dramatic soliloquy about the slings and arrows of outrageous fortune heaped on his star. "I thought some of the things that happened were a little overboard. I really do," Blatt said afterward. "But the league will take a look at it and they'll decide what's right." We think the guy doth protest too much. It was really just feelings getting bruised this time. The Bulls actually did play pretty well, starting fast ahead 16-10 before the barrage of threes began. Thibodeau ran some nice side to side action to get more catch and shoot threes, which favored Dunleavy who made four of six threes. Mirotic had 12 points and 10 rebounds and three three pointers, though he attempted nine. The Bulls just can’t get enough scoring these days without Rose. Tony Snell remains ineffective, Noah’s scoring has been down and Butler dragged through 42 minutes hanging onto James. So he was held to 16 points, including five in the last minute with the game basically decided. Though as Thibodeau said Rose isn’t coming back to play 35 minutes, the Bulls desperately need his scoring and the threat of his scoring to get easier shots for others. Gasol had 12 points and nine rebounds. But the Cavs got just six points from their bench and little indication where there may be more. The Bulls closed down the lane against James with Noah hedging to help. It did open up some three point shooting, but you generally like Smith attempting 17 threes. That’s not beating you in the playoffs. 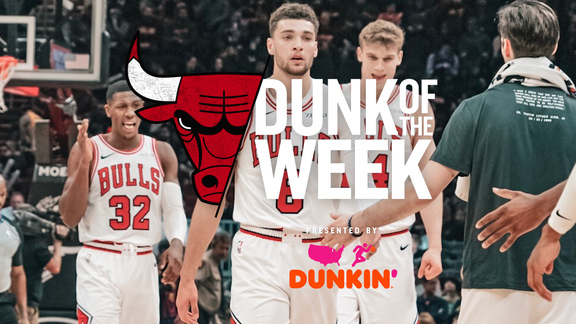 Noah was hustling and on the floor for loose balls and with a pair of fourth quarter threes from Mirotic, the Bulls got within five points with just over three minutes left. But Mirotic missed a three and Butler and Gasol committed turnovers before the Cavs were finally able to relax after a Love three with 1:14 left. The Bulls would have more rebounds, more assists, a higher shooting percentage from the field and free throw line, though fewer threes and perhaps a few too many jumpers when they should have been challenging the slower Cavs at the rim. Though help may be on the way in that regard as well.